Valentine’s Day – Love it or loath it it’s here to stay….. Yes, its a bit like marmite really, you either love it or hate, it so we’ve decided to keep you all happy at The House this year! With Valentine’s Day less than two weeks away, its time to start planning what to buy your loved one, and even more importantly where to wine and dine them! Come and pamper your sweetheart at Beaufort House Chelsea. Enjoy our warm and romantic candlelit atmosphere in our stylish members lounge. A special three-course Valentine’s menu has been skillfully prepared by our head chef for £55 including a welcome glass of Champagne. 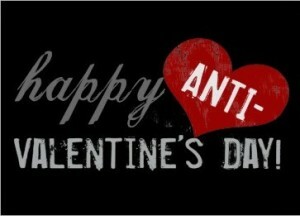 Are you a Valentine’s Day hater? Does cupid make you cringe? Do hearts and flowers make you want to gag? Is it so bad that you almost want to turn down chocolate because it came in a heart-shaped box with a sickeningly cute little doily? Then just ignore it all, and come and have some fun in our ground floor cocktail bar on Thursday 14th February – all Martinis only £6.90! Go on, you know it makes sense….